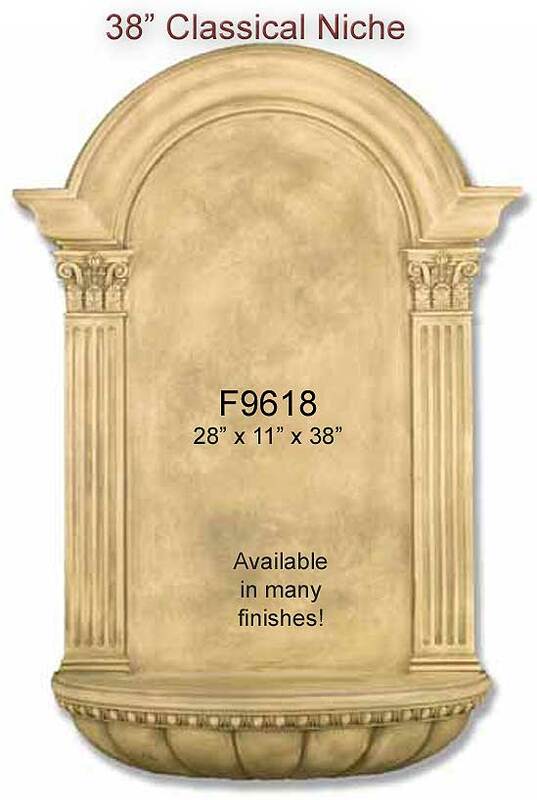 F9618 - 38" Fiberglass Classical Niche - shown in Gothic Stone finish, but also available in many other finishes. This fiberglass niche is a 38" tall, surfvace mounted, and is available in a wide variety of finish colors. Allow 6 weeks for delivery. 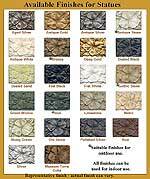 The return policy for our fiberglass collection is different than on most of our products since these are manufactured to your order. For returns the customer will be responsible for the original shipping, the return shipping, and a 25% restocking / cancellation fee so please take advantage of the information provided in the links below to assist you in deciding which pieces to order.